The Toughest 400m Race | JustRunLah! 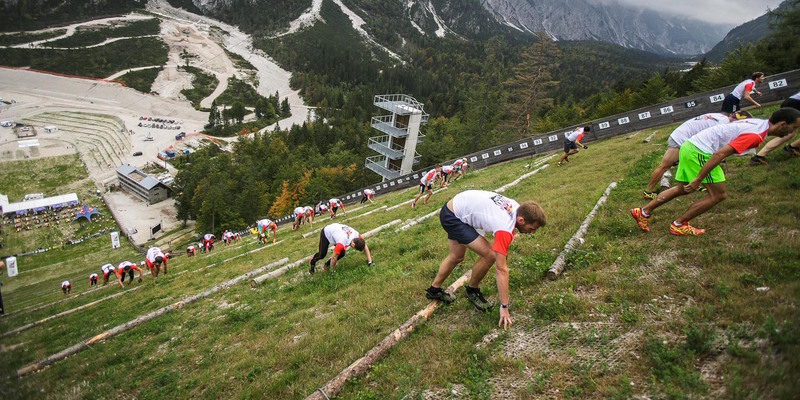 Competitors run up the ski flying hill during the Red Bull 400 race in Planica, Slovenia, Sep. 19, 2015. Running 400 meters is no kick to most people. Well, it’s just one lap around the track, right? The Red Bull 400 comes with a twist: It is a 400 meters run, but you will be running uphill at an altitude close to 200m at over 30 degrees of incline. It is a race that puts your calves, quads and endurance to the ultimate test.